Day 185 - Happy 4th of July!!! 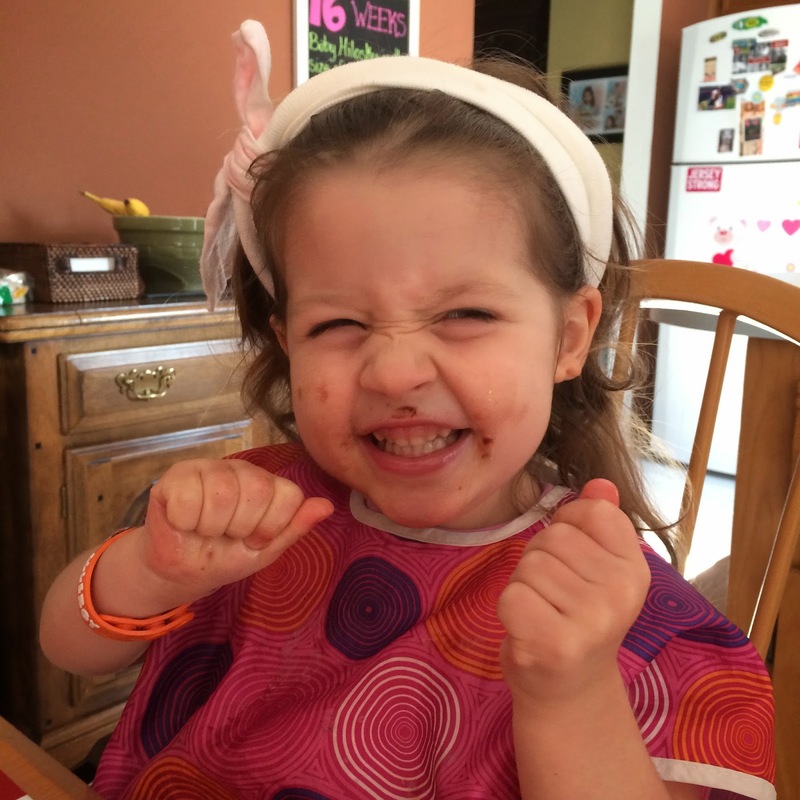 Day 186 - Can you tell what color Blakely's cupcake was? Day 187 - I love when I walk in on sweet little moments like this one...Lacie feeding Blakely her afternoon snack saying, "I feed you sister." Day 188 - When I say these two are best friends, I mean it! You can see here that Blakely is leaning out of the stroller to hold Lacie's hand. It's probably time for a side by side stroller. Day 189 - I have the very best husband ever! On his way home from work, he stopped to pick up some ice cream for this pregnant mama! Day 190 - we finally took Blakely's highchair tray away and pushed her up to the table so that she can eat with the rest of us! Day 191 - Outside fun at Nana and Pop-Pop's house! 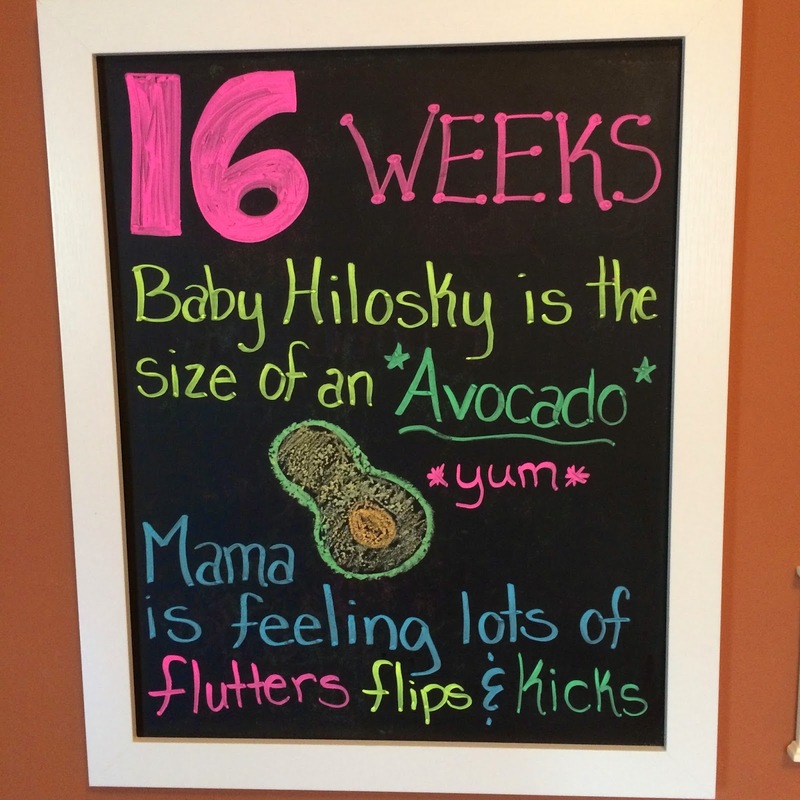 Day 192 - Happy Friday and Happy 16 weeks to me and Baby Hilosky! Day 193 - Lacie was very happy after our traditional Saturday morning breakfast of Whole Wheat Chocolate Chip Pancakes! 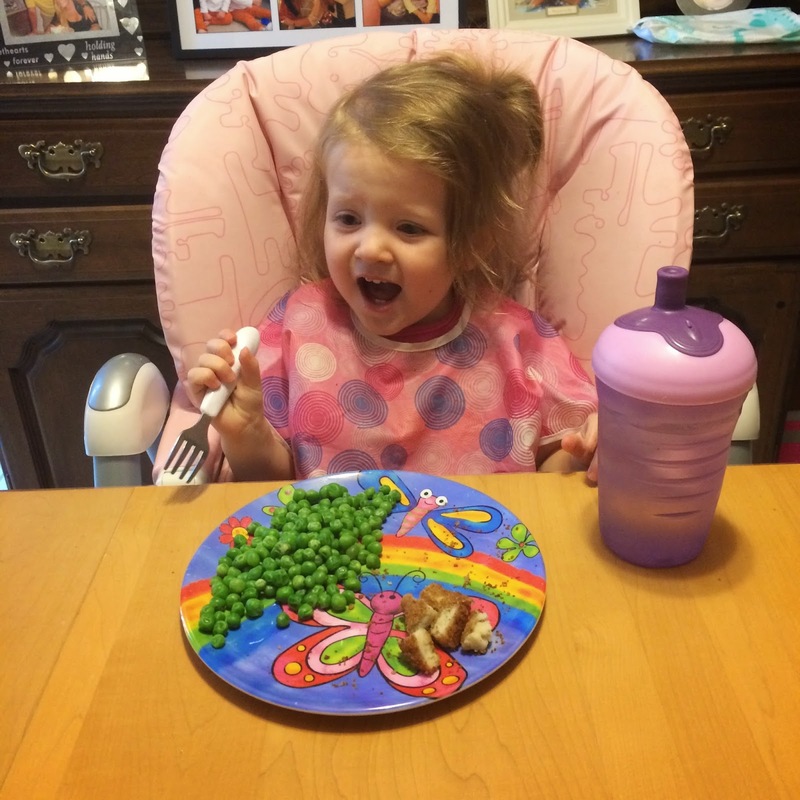 Day 194 - Now that Blakely is sitting at the table, she is in charge of completely feeding herself! She was mostly doing that anyway with the exception of yogurt, soup, and cereal. This was her first attempt at self-feeding yogurt! It went well other than the fact that she scraped the bowl for 20 minutes after she was clearly finished. 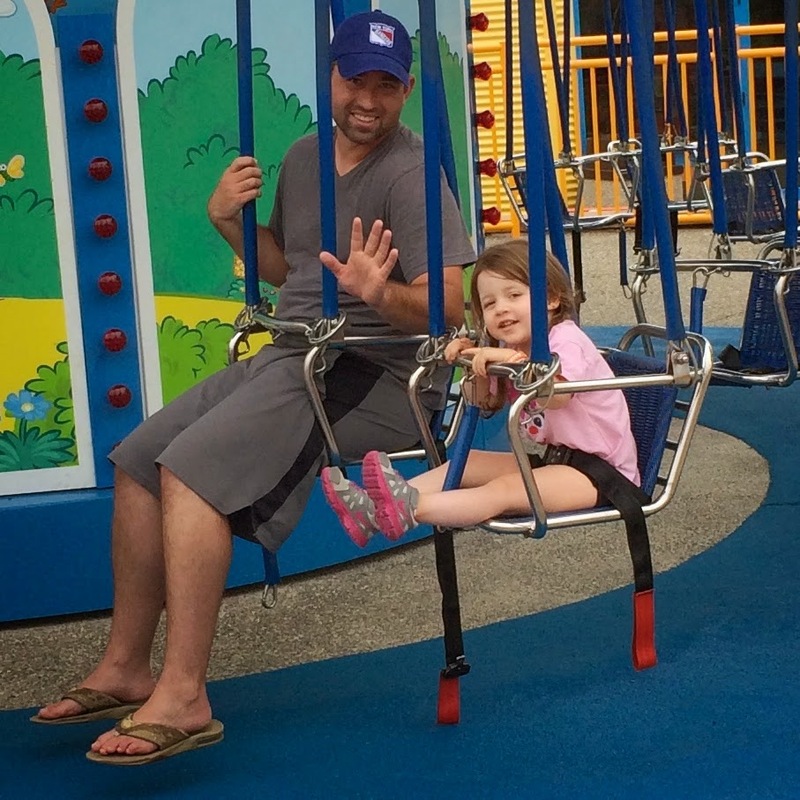 Day 195 - Lacie's first time on the swings at Sesame Place. You are supposed to be 36 inches and well she's not quite there yet...but Daddy managed to sneak her on. Day 196 - A little morning Do-A-Dot art! Day 197 - A sweet afternoon treat with Pop-Pop! PS - my mom has had those ice cream cone shaped bowls and spoons since I was in elementary school. Day 198 - Finding a fruit that Blakely will eat is sometimes pretty tricky! 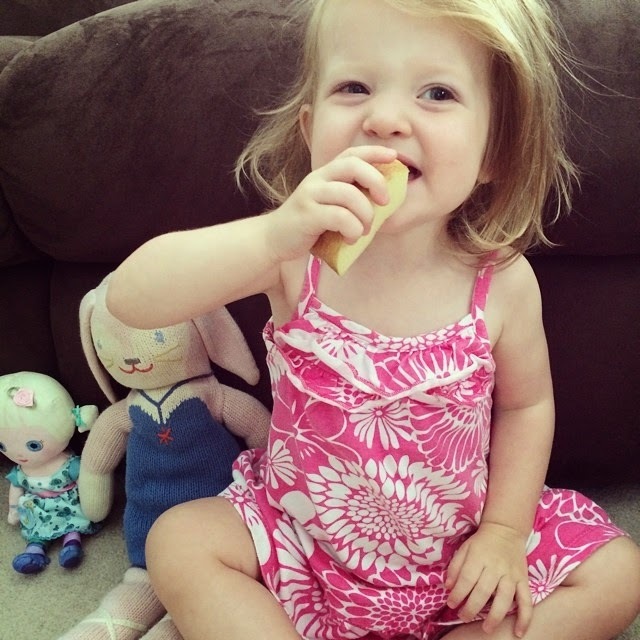 Hooray for apple slices!